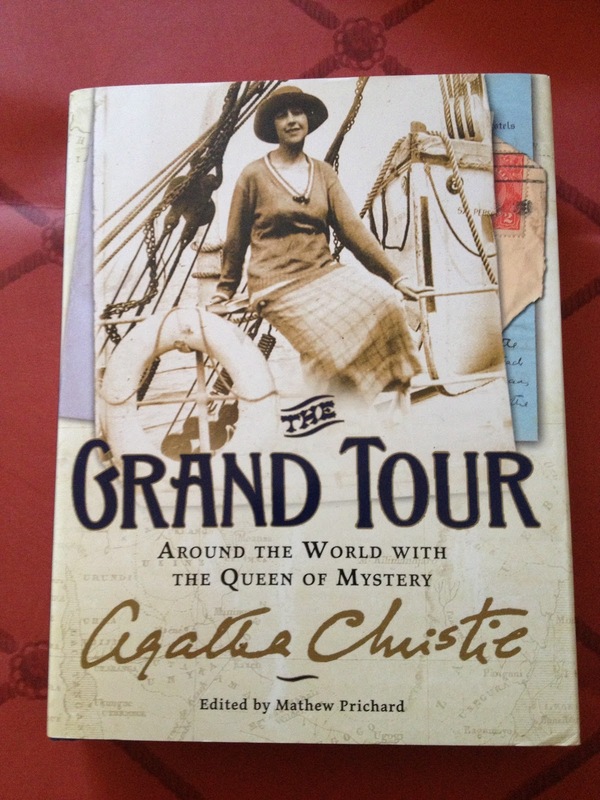 In 1922 Agatha Christie and her husband, Archibald Christie, embarked on a ten-month journey around the world. Her grandson worked to compile letters, essays, newspaper articles and photos from the voyage so he could share them with the world. The result is this fun book for every Agatha Christie fan, The Grand Tour, Around the World with the Queen of Mystery, Agatha Christie. I was given this book at Christmas, but I've only just now had a chance to dig in. It covers Agatha's visits to South Africa (where they got stuck when a railway strike turned into a "young" revolution), Australia (loved the chocolate factory), New Zealand (woollen factory visit and beautiful vistas), Honolulu (surfing), Canada (tea at the Empress) and occasional comments about the sea bits in-between. It's a must have for any serious Christie fan, or actually anyone who wants to travel the world. How cool. I don't have this book yet so it's going on my Amazon wish list ASAP. I wish I could have met her! Sherlock Gets Into Hot Water, But Can He Cook?